For your party at Penistone Leisure Centre, you will have exclusive use of the main hall, party room and kitchen. Most people use the main hall for skating, but we have also had football parties, bouncy castles, pedal cars, DJs and even zorbing balls. Included is: skate hire for everyone (adults too! ), party room set up with tables, chairs and tablecloths, party crockery, CDs, sound system and disco lights if you want them (these are best if it is dark outside). We can put out beginner mats if you will have people who might need a softer, slower surface to start skating on. There will be a staff member present throughout your party, to set up, hand out skates and ensure everything runs smoothly. Bring your own party food, cake, balloons and decorations. There is a maximum of 50 skaters at a skating party (spectators are not included in the numbers). Parties cost £95 for 2 hours if your guests are skating, or £80 if you are providing your own entertainment (bouncy castle/entertainer/zorbing/nerf/football etc). We also give you 30 mins before to set-up and 30 mins at the end to pack away. The kitchen has a sink and fridge freezer. A kettle, mugs, tea bags, coffee, milk and sugar are available. Hot Drinks are £1 each, please pay at the end. Alternatively you can bring your own drinks and just use our kettle and mugs for free. Our party staff member will set out your room as you want it (please let us know numbers in advance) and will set up disco lights and beginner mats if you want them. The staff member will stay throughout your party to hand out skates and help to fit them (as in public sessions) and help to tidy up at the end. They will also be a first aider and will be able to assist with the smooth running of your party. You can arrive up to ½ hr before the party starts so you can set out food and get yourself organised. Bring any balloons, banners or bunting that you want to use to decorate the room. Please use blue-tak not sellotape, as sellotape pulls off the paint, and stick it to the woodwork if possible. Also, no silly string or any paints or dyes that will damage the centre. Wash, dry and put away the plates, mugs etc. Take any rubbish, recycling, balloons and banners etc. The party staff member will tidy the rest of the centre, although help is always appreciated. To book, or if you have any questions, phone Kirsty on 07341 300259, fill in our Party Enquiry Form or email us. You can call in to look at our facilities during any of our gym or skating opening times. Our party times are 4-6pm Friday, 3-5pm and 6-8pm Saturday and 3:30-5:30pm Sunday. Other times are sometimes available in holidays, daytimes or Sundays, but there are no other times after school. The party slots can sometimes be made a bit shorter or longer, depending on what else is booked. Please note that the gym is open on Fridays and so there could be people coming through to use it during your party. We ask for a £20 deposit. Please either bring £20 cash/cheque into the centre or post a cheque (payable to Sporting Penistone) to Penistone Leisure Centre, Thurlstone Road, Penistone, Sheffield, S36 9EF. Please label it with your name and the date and time of your party. You can also pay the deposit online. Your deposit will be returned when the leisure centre is clean and tidy at the end of the party. Please bring £95/80 (price depends upon whether you are skating or not!) in cash when you arrive for your party and give it to the staff member. All activities at parties are undertaken at your own risk. Food is brought, prepared and consumed at your own risk. 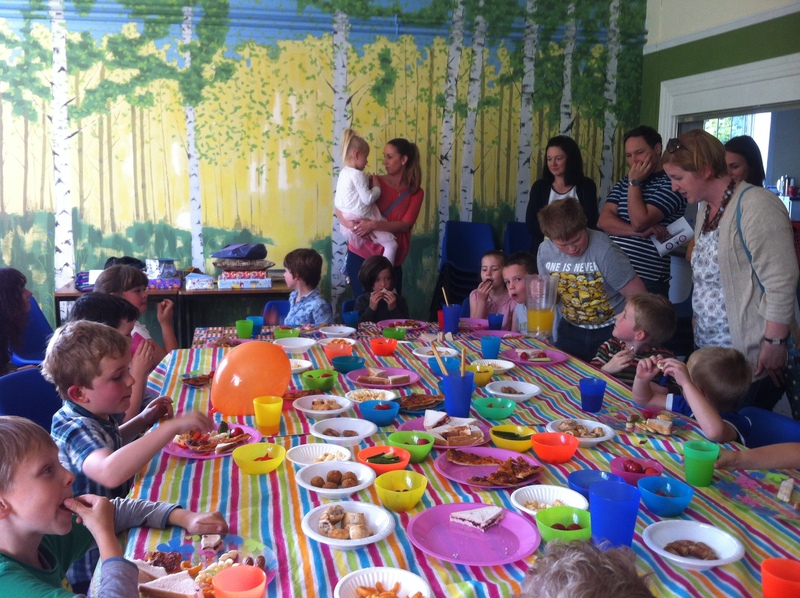 If you have 12 or less children, there is an option to have a party within a public session. These are 4-5:45pm Wednesdays, 12-2pm Saturdays and 10am-12 Sundays. It is essential you let us know in advance so we can set up a reserved table for you in the party room and make sure we keep enough places in the session. (Session numbers are capped at 50 skaters for safety reasons). You will not have access to the kitchen for food preparation as it will be in use as the tuck shop, but you can bring sandwiches and a birthday cake if you wish. We would appreciate it if you bought drinks and snacks from the tuck shop to enable us to keep offering free parties in sessions. The price is the usual £3/head that is paid in public sessions. Please fill in the party enquiry form, email us or phone/text 07341 300259 to let us know if you are coming. These are parties run by volunteers, where you can just buy tickets and turn up. The parties are on skates, with games and party food and are run in some holidays (Halloween, Christmas and Mad Hatter’s so far). We use them to raise money for our funds – and also because everyone has a brilliant time! Adults can spectate for free but these parties are not suitable for non-skating younger children as the parties are busy and there is not space to run around safely. But why let the children have all the fun? Both adults and children are welcome to dress up and skate! Sunday 12th February 2017 3:30-5:30pm. Included fair trade themed skating games, fancy dress (optional), afternoon tea with sandwiches, scones and Fairtrade cakes. See the pictures on our Mad Hatter’s Skating Fairtrade tea party page. Our Christmas Party was on Wednesday 21st December and included a visit From Santa, Mrs Santa and an elf, skating games, party food, craft activities and lots of skating with the disco lights on. The Halloween Party was on Thursday 27th October 3:30-5:30pm 2016. The price of £5 included skates, spooky games, scary party food and a fancy dress parade with prizes. 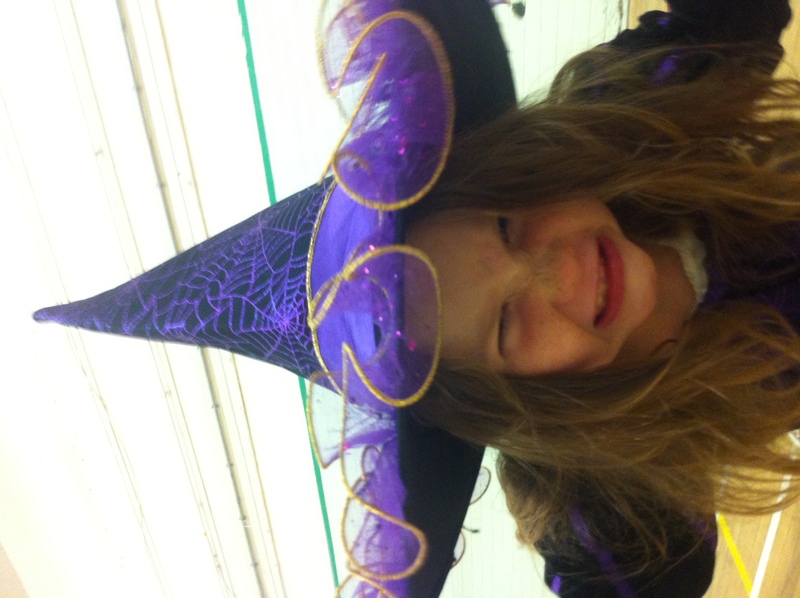 Look at the pictures from our own Halloween skating party on 31st October 2015. Av u got availability for a 8th birthday party on Sept 16th or 17th n also can our 3 yr old bring a scooter to the skating party so not left out.will confirm booking wen decided what she wants to do. Yes there are tables, chairs and tablecloths which most people use, but some prefer a less formal set up. Just wanted to say thank you for jakes fabulous party on Saturday!! He had a great time along with all his friends!! Facilities were all fab at a great price! Staff were really helpful and informative! Hi could I book the room for my daughter’s 9th birthday party on Wednesday 16th march for 2 hours from 345, roller booting and disco? let me know by email thank you. Hi Debby, I’m sorry but birthday parties are only available Friday 3:45-5:45, Saturday 3-5 or 6-8 or Sunday 3-5. Please send us a party enquiry to check for availability. I am wanting to book a party in January 2016 Saturday afternoons are best. It would be for room only because my son is wanting a bouncy castle. Do you have a preffered provider for the bouncy castles he was wanting the assault course type one. Hi, I need to pay my deposit. how do I pay on my card on my computer. There is now a button on the parties page called ‘Pay Party Deposit’. I am enquiring if there is availability for a skating party on 12 December 2015? We only have 6-8pm (or later) free on Sat 12th December and no free party slots on the Sunday I’m afraid. Or you could have after school on fri 11th 3:30-5:30 or 3:45-5:45.